Download a sample of this book at Amazon. Click here. Left widowed and penniless, Frederica Barry resolved to become what her late husband’s relatives had always proclaimed her to be- a very wicked woman. Taking London by storm, Freddie put her wits to work to support herself and her unusual entourage of servants. But losses at the gaming tables soon brought the merry widow to the brink of disgrace and debtor’s prison. Clearly there was only one solution, to find herself a wealthy protector. Drawing up a list of the richest and most eligible men in the city, one name stood out above the rest- her distant cousin, the handsome rake, Max Warfield. Abigail Prentiss was engaged to turn the two Misses Harding from Pennsylvania into proper English ladies, acceptable to the ton. She vowed to do in spite of their brother Nathaniel and his boorish behavior. A truly superior governess would not lose her temper or become ruffled by a barbaric Yankee. Even though Nate Harding had clearly thrown down the gauntlet, Abigail was determined not to fight the revolutionary war all over again. She would be the last to admit that this handsome lusty male had already begun to breach the walls she had so carefully constructed around her heart. 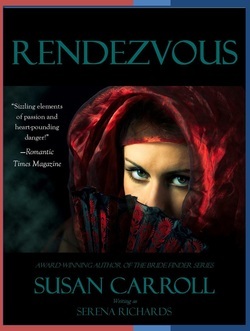 A RITA award winning Regency romance by Susan Carroll. . .Aurelia Sinclair felt as though she had been waiting forever for the proposal of marriage from her childhood sweetheart, Justin. If Lord Spencer was less than ardent, well, what could a plump dowdy creature such as herself expect from such a handsome buck of the ton? No matter what she might long for, she had to be content with what Justin offered, friendship and a marriage of convenience. Or so Aurelia thought until Everard Ramsey took matters into his hands. Rusticating in the country, the handsome London dandy was intrigued by Aurelia’s humor and intelligence. His sympathy for Aurelia’s plight led him to make an outrageous suggestion. If she would but place her trust in him, Everard vowed to transform her into next Season’s belle. Though Aurelia was highly skeptical of his proposition, what did she have to lose? Nothing. . . only her heart. Download a free sample of this book at Amazon. Click here. In a desperate move to resist the advances of the tyrant King John, beautiful young Lady Melyssan claims to be married to the king's worst enemy, Lord Jaufre de Macy, the legendary Dark Knight without Mercy. Seeking shelter at Jaufre's abandoned Castle Winterbourne, Melyssan is unprepared for the angry warrior who returns to expose her deception. Jaufre is a man as harsh and unforgiving as the Welsh borderland he rules, but Melyssan knew him from a time long ago when he was her champion, gentle and chivalrous. Melyssan must strive to find her way back into Jaufre's heart before they are both destroyed by the wrath of a vengeful king. 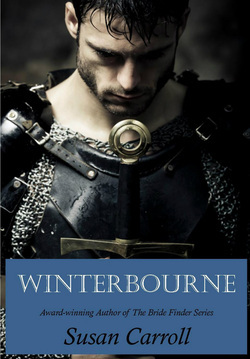 Winterbourne is a classic historical romance by Susan Carroll, author of The Bride Finder and The Dark Queen series. But somewhere during all the Christmas celebrations, Chloe discovers that beneath the captain's stern military bearing is a lonely man imbued with a gentle gallantry. To her dismay, Chloe finds herself falling in love with her sister's fiance. She is unaware that William Trent has realized that he has pledged himself to marry the wrong sister. But with the wedding day looming closer, is there any honorable way to resolve this situation? It will take all of Chloe's faith and the magic of Christmas to unravel this tangle of hearts. 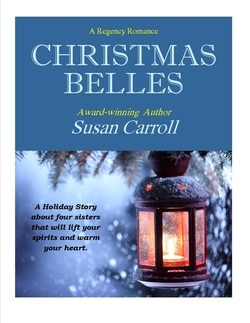 A holiday tale about the enduring power of love and hope. For a free sample of this book, click here. With his broad shoulders and handsome dark eyes, Lord Ravenel could have been a character in one of author Gwenda Vicker's gothic novels. 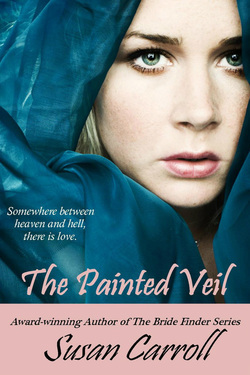 She never meant to eavesdrop on his awkward marriage proposal or overhear the lady refuse him. Clearly the unfortunate man could use Gwenda's advice on the art of romance. But Ravenel considered the helpful Miss Vickers a mistress of disaster and demanded that both she and her boot-chewing hound keep their distance. What begins as a three hour trip to Brighton becomes a series of mishaps and adventures his lordship could never have imagined. By the time Ravenel reaches the end of the Brighton Road, the incorrigible lady authoress succeeds in turning his very proper world upside down A charming romantic comedy and winner of Romance Writer of America's Golden Medallion award for Best Regency. A murderous scoundrel called the Hook terrorizes London, obliging residents to keep close to home after dark. But Lady Anne Fairhaven is forced to brave the night as she searches for her stolen child. To recover her daughter, Anne must strike a bargain with the devil himself, the wicked and seductive Lord Mandell, a man battling demons of his own. During an era of revolution, Lady Phaedra Grantham fights for her own freedom from her tyrannical grandfather and memories of a tragic marriage. Her quest for independence is threatened by the arrival of a mysterious nobleman, Armande de LeCroix. The handsome marquis holds all of London in thrall. Even Lady Phaedra is drawn to the man, despite her growing suspicion and fear. What secrets does Armande hide behind his aristocratic mask? 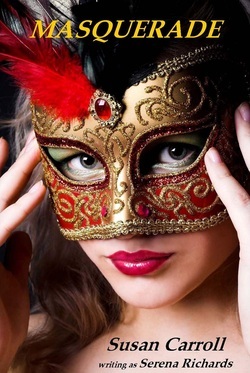 And what danger does Phaedra face when love itself may prove to be nothing more than a masquerade? During the French Revolution, Belle Varens risked her life to help aristocrats escape the deadly kiss of the guillotine. But there was no escape from the painful memories of her past until she met Sinclair Carrington, a British spy with secrets of his own. Sinclair rouses in Belle a passion she has long denied, but dare she risk her heart with a man who is a master of deception? Especially now, when Belle is about to embark on the most dangerous mission she has ever undertaken- a plot whose target is none other Napoleon Bonaparte. An excerpt of this book is available at Amazon. Click here. 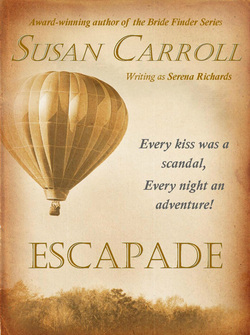 Rory Kavanaugh is so desperate to save her hot-air balloon company, she takes on a risky performance with a circus. When the stunt goes wrong and she crashes onto the lawn of Zeke Morrison's estate, she sees a new opportunity to rescue her failing business. But when the ruthless millionaire claps eyes on the lovely Rory, Zeke entertains far different ideas than investing in hot-air balloons. Rory finds herself attracted to him, a dangerous desire because Zeke is a man of many secrets. When his murky past catches up with him, Rory faces a daunting question: could she have fallen in love with a murderer? A tale of romance and adventure set in turn of the century, New York, Escapade sweeps from the glittering mansions on Fifth Avenue to the dark underworld of Five Points. To read an excerpt from this book, go to Amazon. Click here.